Nothing can beat the idea of having sprouts for breakfast as it is the healthiest. Simple sprouts are always a boring pick for mornings. You can use bean, alfalfa, green gram sprouts. 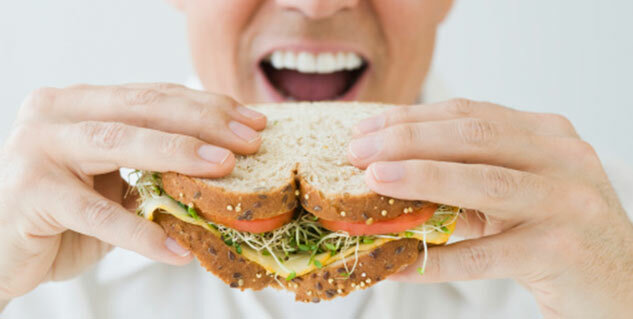 Sprouts in sandwich would be a tasty and healthy treat. Nothing can beat the idea of having sprouts for breakfast as it is the healthiest. However, just simple sprouts in the morning time can be boring sometimes but do the fitness freaks have a choice? Yes, they have. Yes, you can diversify your sprout die with healthy sprout sandwich. 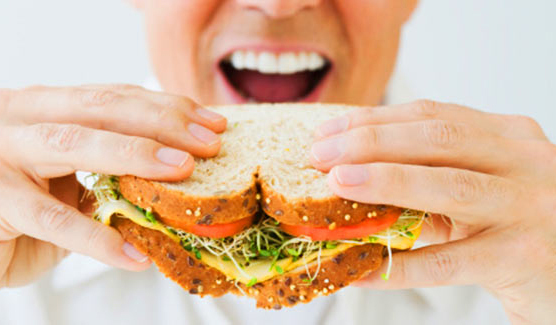 Now, this sandwich can make your mornings extra 'Good' with wholesome goodness and taste. Take a deep bowl and mix the chopped onion, mashed potatoes, salt, sprouts, two tbsp green chutney and crushed black pepper. Place two brown bread slices on the work top. Place salad leaves on one of them. Place some of the stuffing topped with tomato roundels. Apply some green chutney on another slice and cover the sandwich with it. Now, take two slices of bread and place the salad leaves on one of them. Now, place the sprout stuffing on the top of the salad leaves, and then place slice tomatoes. Now, spread the green chutney and cover it with other bread. Repeat with other slices of breads. Preheat the sandwich maker, place the sandwiches and toast till it turns golden.